Project Team Managing Director for Design, Co-ordination and Administration. As Project Team Engineer and Director, PhilWright co-ordinates all aspects of the design and documentation for the Company, and administers all contracts and ensures that effective liaison is managed with related disciplines and consultants. Mr. Wright is responsible for the initial project briefing, design and master planning of projects. 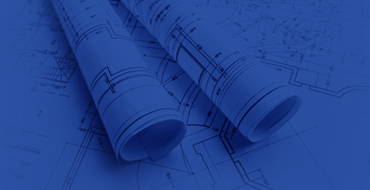 The Project Team Director fulfils the pivotal role in the initial design development stage of each project ensuring the requirements of the client’s brief are addresses and implemented. Senior Hydraulic Services Design Consultant. Head of Design and Documentation. As Senior Design Consultant, Tony is responsible for the preparation, checking and confirmation of all design documentation, prior to approval by the Managing Director. Mr. Serek has gained considerable knowledge in all facets of hydraulic services engineering and project administration. Tony’s role as Senior Design Engineer is to ensure that correct methodologies and criteria have been used for all designs and, for the checking, verification, and certification of documentation prior to issue. In addition to his formal qualifications, Joel has vast experience in the design and implementation of all water, gas, drainage and sanitary services in a wide range of areas including residential, multi-residential, commercial, and for the mining sector. He also possesses a Certificate in Backflow Prevention. As a Hydraulic Services designer Joel is responsible for project research, hydraulic services design and CAD documentation of projects. Brendan undertakes projects and accounts management. He also manages software and website development. He has extensive experience in business and IT management ensuring quality and project control systems within the company are monitored and recorded. Brendan monitors the processes and systems, and, in consultation with management, ensures projects are scheduled and completed within the client’s time frame. Luke graduated from Curtin University in 2013. Luke's role includes CAD drafting and assisting with project documentation and scheduling within the office.